Re-centralizing? Re-disorganizing? What exactly is Ontario doing to its health-care system? Ontario is creating a super-agency to run its entire $60 billion health-care system, a massive experiment in centralization. But there's no blueprint for how the plan will improve care and end 'hallway medicine.' And some fear Ontario is about to repeat the mistakes made by other provinces. Ontario's health-care system is about to become a giant construction zone as the province blasts away bureaucratic walls to create a single super-agency that will run the entire $60-billion health delivery system. When the dust settles all of the province's hospitals, community health services, mental health agencies, cancer treatment centres, organ donation programs, home care and end-of-life care will be under the command of one still unnamed CEO and a board of directors who will be responsible for almost half of Ontario's entire budget. One agency to rule it all. It's an image that causes some health experts to shudder. 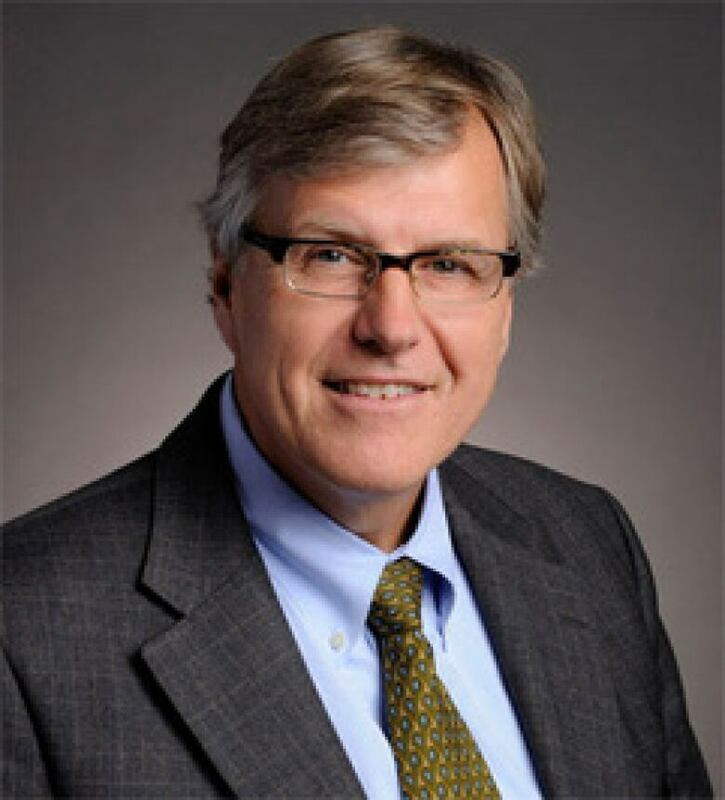 "As I understand more and more about how this is evolving, I've got to say my concerns are getting greater," said Dr. Bob Bell, who was Ontario's deputy minister of Health until last June when he retired. The massive centralization plan was developed last summer in the weeks following the election of the new Conservative government, and the province's bureaucrats were ordered to make it happen fast. Documents leaked by the NDP a few weeks ago reveal officials rushing to meet tight deadlines so that the legislation could be announced on Tuesday. "Currently on track but almost no slack in schedule to allow for unexpected delays." 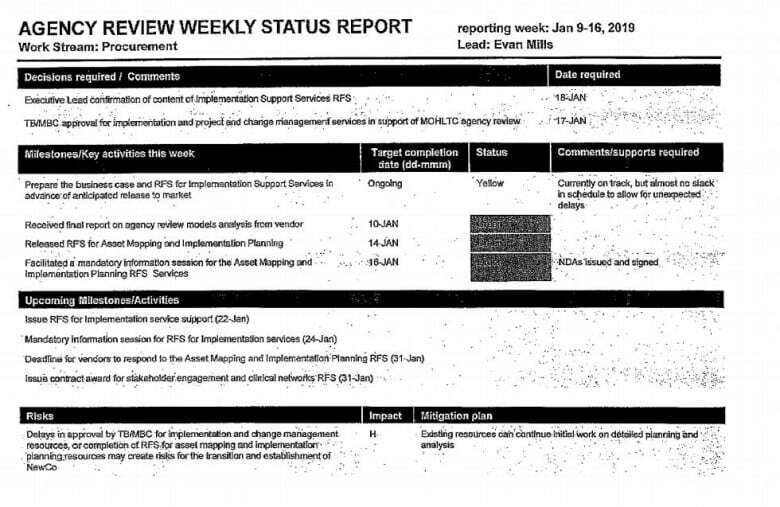 That was the mid-January status report from the procurement group that is setting up a whole new corporation owned by the super-agency to handle all of the province's health-care purchasing, everything from bandages to bed sheets to artificial hips. At the same time the communications team was busy holding focus groups to do "message testing" exercises. And the regional oversight team was warning about the risks of service disruption and potential labour disruption during the transition period. Meanwhile, the legal group was still doing trademark searches on names. The original brand, MyCare, was already taken so they settled on Ontario Health Teams. Somehow the bureaucrats got everything ready for this week's introduction of The People's Health Care Act, 2019. Left unanswered was how the new super-agency will make doctors available in the middle of the night to treat a sick child or improve access to mental-health care or find beds for the estimated 1,000 patients who are waiting in the hallways of the province's hospitals. Because there is nothing in the act that specifically addresses any of those issues. There is no blueprint for how a patient will walk in the health system's door and get seamless access to everything from primary to palliative care even though that's the stated aim of the new "patient-centred" system. 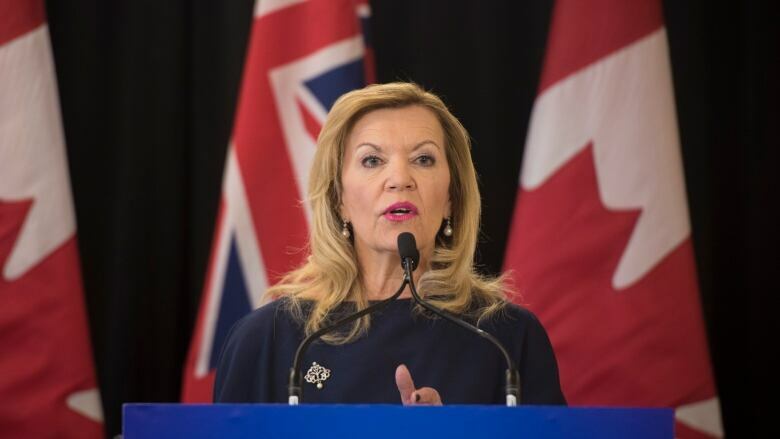 The bill does give Health Minister Christine Elliott vast powers to force hospitals and other health-service providers to integrate, merge or even close if necessary. But before she uses her powerful new stick, Elliott is trying a carrot — calling for volunteers, asking hospitals, long-term care groups, mental-health systems and any other associations delivering health services to organize themselves into "teams" and make a pitch to become the official Ontario health-care provider for their particular region. If they get the nod, the super-agency will give them money along with a set of financial and health outcome targets they must meet as they provide all of the health-care needs for up to 300,000 patients in a defined geographic area. How will the new system actually work? The list of unanswered questions is long. "Are you going to combine all your budgets? Are the doctors going to give up their money and put it into the hospital money in order to shift resources around and spend money more effectively? I think that's going to be a real stretch," said Bell. "I think this is kind of being made up as it goes along." Will there be job losses as agencies merge and administrations are reduced? The health minister avoided answering that question at the news conference. Bell wrote an opinion column this week asking if it was too late to reconsider the super-agency. He's worried about fixing things that aren't broken or even breaking things that are working well, including Cancer Care Ontario, the province's highly regarded cancer service agency, which is being absorbed by the new super-agency. "I think there's all kinds of incremental opportunities to improve the health system that we have today without making massive structural change," said Bell. "This is the mother of all restructuring exercises with all kinds of arbitrary powers to order things with no public input whatsoever," said Natalie Mehra, executive director of the Ontario Health Coalition, a group that advocates for publicly funded health care. Under the new law, the role of for-profit companies could increase, Mehra warns. "We've removed any protections that would stop for-profit chains from taking over not-for-profit hospital services. That is what the legislation actually does." Meanwhile, health-policy researchers across Canada watched Ontario's news in amazement. That's because five other provinces have already tried a health-care centralization experiment. The reviews are mixed, at best. "I really get the feeling that nobody in Ontario is tracking Nova Scotia's experience at all," said Katherine Fierlbeck, a Dalhousie University professor who wrote a book about the creation of the Nova Scotia Health Authority. Her advice to Ontario's policy makers? Take a closer look at Nova Scotia's dismal outcomes. "Take an afternoon, go through the newspapers, understand why the doctors are pissed off, understand why the nurses are unhappy, understand why patients are crying about the poor service that they're getting," she said. They could also study Alberta's experience, which resulted in scathing reviews. Or they could simply review Ontario's own 30-year history of major health overhauls. In 2006, the province created a network of regional health agencies that are now being re-centralized. Or "re-disorganized," according to University of Ottawa health law and policy professor Colleen Flood. "It happens all the time. In and of itself, re-disorganizing the number of health authorities is not the point," Flood said. "There's the potential to be radically transformative but there's also the potential for it to just slide back into just being another administrative layer on top of all these other administrative layers." "For those of us who've been following this for a while there's always this crazy sense of déjà vu." said Fierlbeck. "My perspective is that health-care restructuring is generally done because it reconfigures political power relations, not because it provides better health care." "I haven't seen better health care resulting from any of these massive restructuring programs," she said, adding that Ontario has the chance to learn from the other provinces' mistakes. "Otherwise it's going to be a very painful process."